WordPress powered by AMIMOTO with Auto Scaling provides on-demand memory, CPU, and storage. This 1-Click AMI was developed by our expert engineers to be the highest performing AMI for WordPress on Amazon Web Services. Completely preconfigured with WordPress, PHP 7, MySQL (Percona Server), and NGINX. WordPress powered by AMIMOTO with Auto Scaling provides on-demand memory, CPU, and storage. 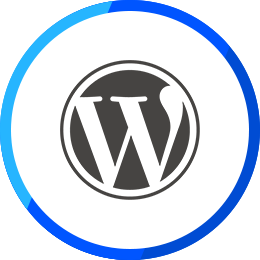 This 1-Click AMI was developed by our expert engineers to be the highest performing AMI for WordPress on Amazon Web Services. This AMI includes features like Auto Scaling and Auto Healing ready to repair failed instances. Completely preconfigured with WordPress, PHP 7, MySQL (Percona Server), and NGINX. Customize as needed with full access controls and enjoy developer-friendly features like WP-CLI and Git.